We are the authorized dealer for all of the vendors listed on our site. This means that all of our products are guaranteed to be original and authentic. Your fabric will ship directly from the manufacturers and are warranted against any manufacturer defect. We do not sell seconds or clearance products. Your satisfaction is guaranteed. If the fabric is found to be defective or damaged upon receipt, we will issue a call ticket to pick up the item and replace it immediately. Your order is free of sales tax, which can be up to 10% in some states. For California residents, the tax rate is 7.25%. All orders over $200 ship for free to 48 contiguous US states. Orders under $200 ship for a flat rate of $19.95. 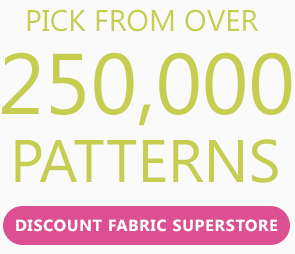 We ship all of our fabrics in a roll by UPS or FEDEX ground. 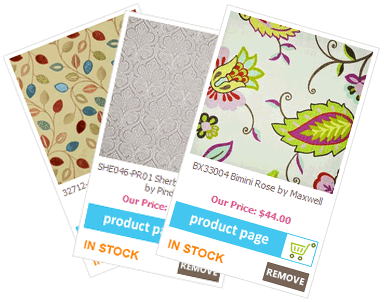 All stock fabrics and wallpapers usually ship within 24- 48 hours. Our checkout section is encrypted with SSL technology to protect your private data. With SSL encryption, you can be assured that your credit card information is safe and protected.